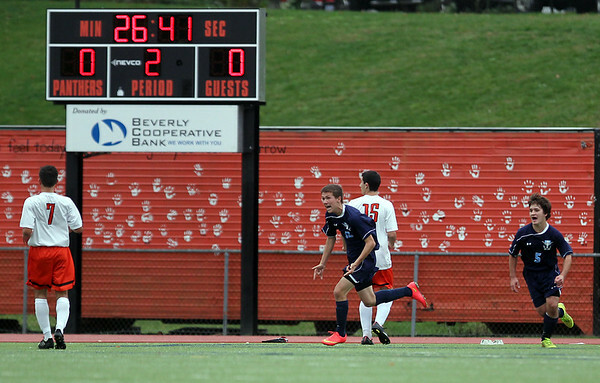 Peabody senior Ben Manoogian (18) celebrates his second half goal against Beverly. The Panthers and Tanners played to a 1-1 draw in a game that would have decided the Northeastern Conference North Champion. DAVID LE/Staff photo. 10/21/14.